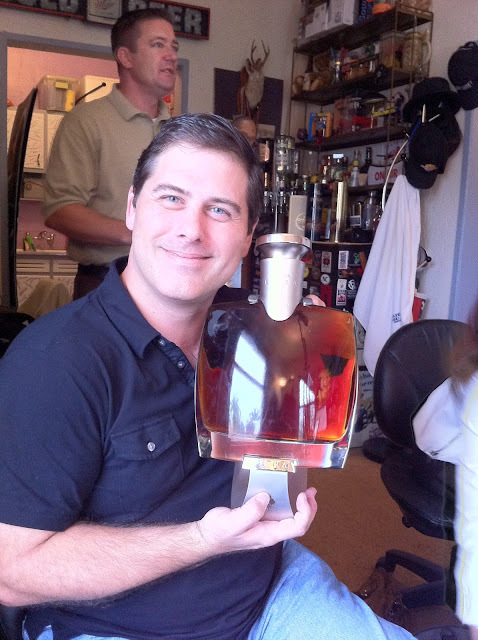 Now on to a most excellent Cognac, one that was instrumental in making me start this website. Along with Camus Vintage 1971, this Camus Extra Elegance is one of the most fantastic Cognacs I've ever tasted. 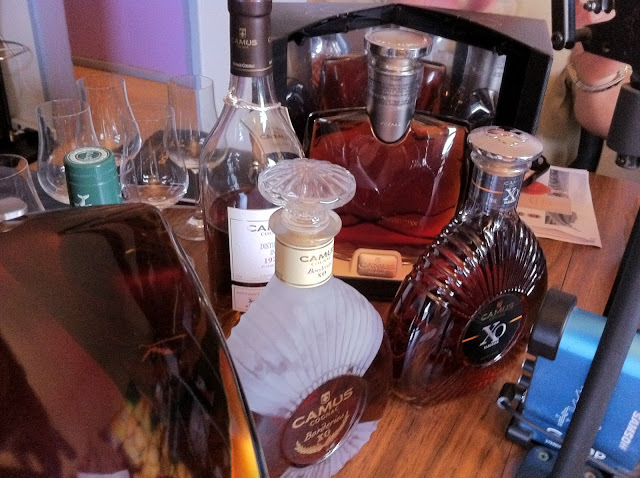 But how did a beer guy get to try some of the most exclusive Cognacs available? Excellent question. I was on ByTheGlassShow.com the same day that Camus' Alexandra Albu made her appearance. The rest, as they say, is history! Alex was also nice enough to provide this sample for today's solo tasting too. Since the sample was not in its original beautiful glass bottle, a piece of artwork in itself, I don't have many new photos. But the ones I do have from my original tasting are pretty good. *Hint* Maybe when Alex empties another bottle, she'll pass it on to me, either the 700 mL 1.75 L bottle. The bottle design is quite elegant, even winning industry awards and being copied by other brands. And the 1.75 L bottle in the cradle is very much a show piece! Retail is around $350 for the 700 mL bottle and $1200 for the big boy, both presented with excellent packaging as well. Camus Extra Elegance is a blend of eaux de vie from Borderies, Grande Champagne and Petite Champagne regions of Cognac, aged for an average of 50 years! 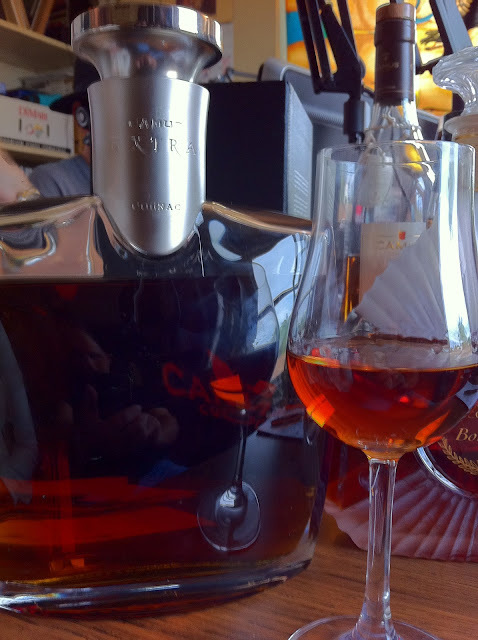 This Cognac has won Gold in the 2010 World Spirts Competition and Platinum in the 2007 Pentawards Luxury Category. Fruity and perfumy aroma which hints a little bit of nuttiness. Soft yet fulfilling and worthy of lengthy smelling enjoyment. Dried violet flavors explode all over the mouth, first sip, with the alcohol really helping deliver that experience. Just letting a little bit sit in your mouth is outstanding. Fresh baked goods followed by apple and peach and mango flavors, even with a touch of fruit preserves sweetness. A dose of spicy flavors adds complexity and balance. Texture like silk. Fantastic luscious smoothness. The spirit that will make you switch? It was one of them, for me! Just bought a bottle and I'm hoping it tastes every bit as good as it looks! I hope you enjoyed it! Simply fabulous cognac!